The Amici Home Rosa Collection features an hombre and optic finish in cobalt blue, lime green and aqua. Each glass is carefully handmade, and mouth blown in Mexico from recycled glass to make this not only an ecofriendly glass but a unique piece to add to your collection. 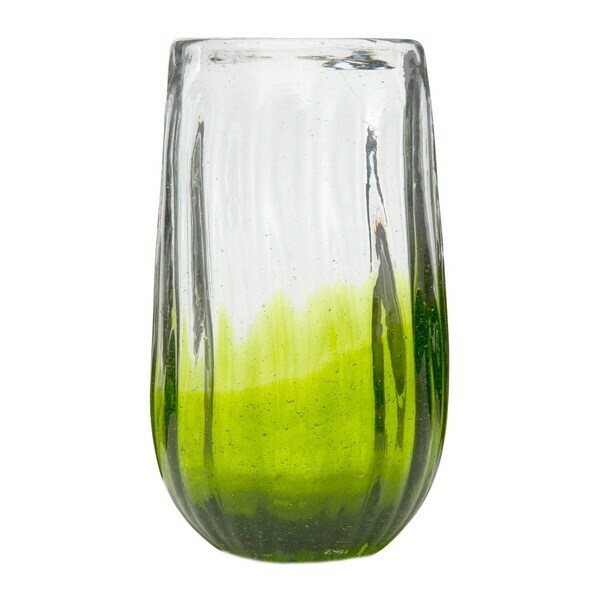 The deep hues of this glass are remarkably beautiful and allow this item to complement any place setting or décor. Previously only available as stemless wine glasses, this collection has expanded to now include Highball Glasses and a Belly Pitcher to form a complete set. All the items in this collection are dishwasher safe. Dimensions 3.5 In. X 3.5 In. X 6.25 In.